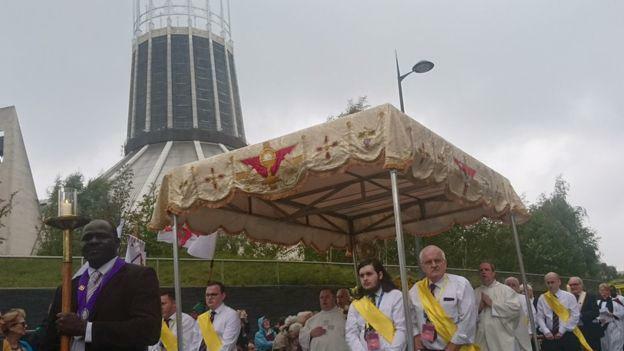 The Bishops of England and Wales held the National Eucharistic Pilgrimage and Congress in Liverpool from 7 - 9 September 2018. 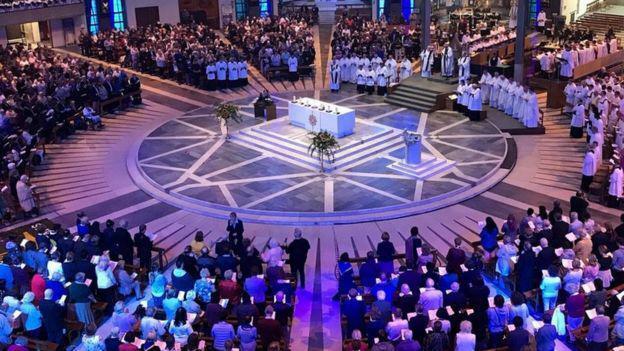 The event was attended by thousands of Catholics from across England and Wales. 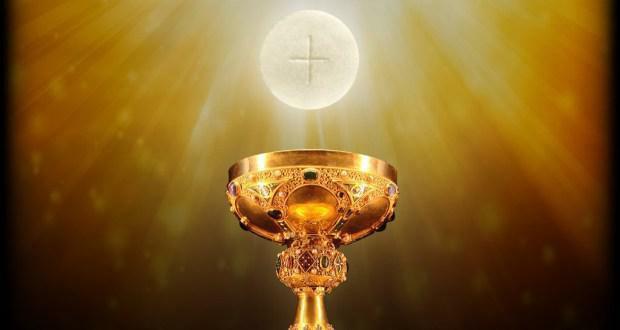 The congress celebrated the Sacrament of the Eucharist and the central Catholic belief that Jesus Christ is made present in bread and wine at Mass services. 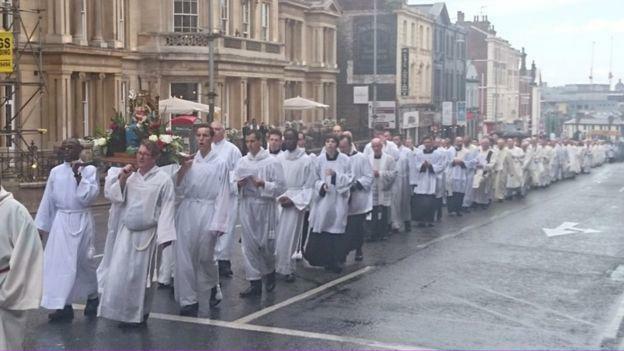 Over 10,000 people also walked in the centuries-old tradition of the Blessed Sacrament procession through the streets of the city. 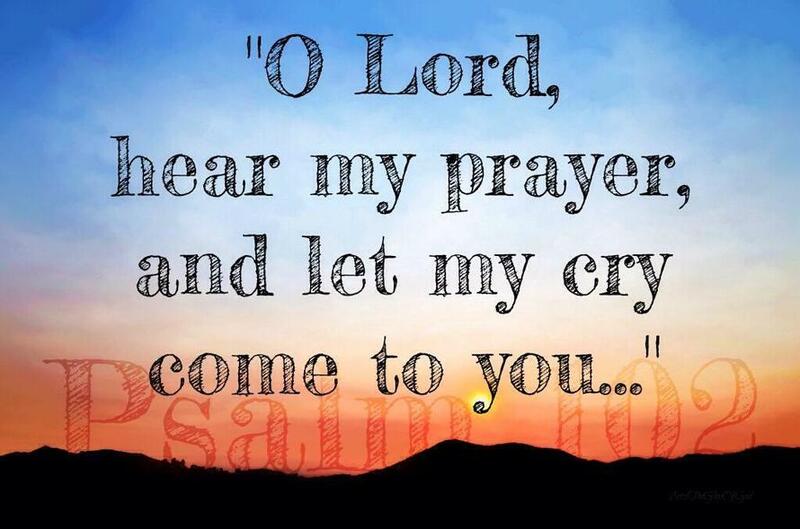 The children in Our Lady Star of the Sea will be continue to explore the gift of the Eucharist throughout the year 2018-2019 through Art, Music, Reflection, Adoration (Benediction) and quiet prayer. 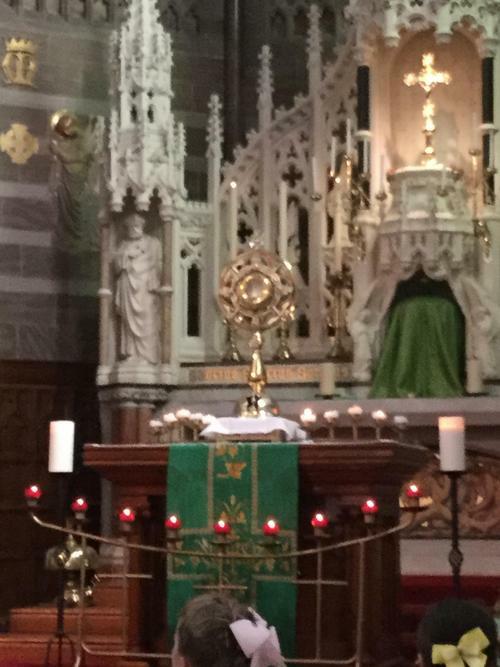 We held our first service of Adoration with Benediction for the first time this year at Our Lady Star of the Sea Church on Tuesday 10th of July. 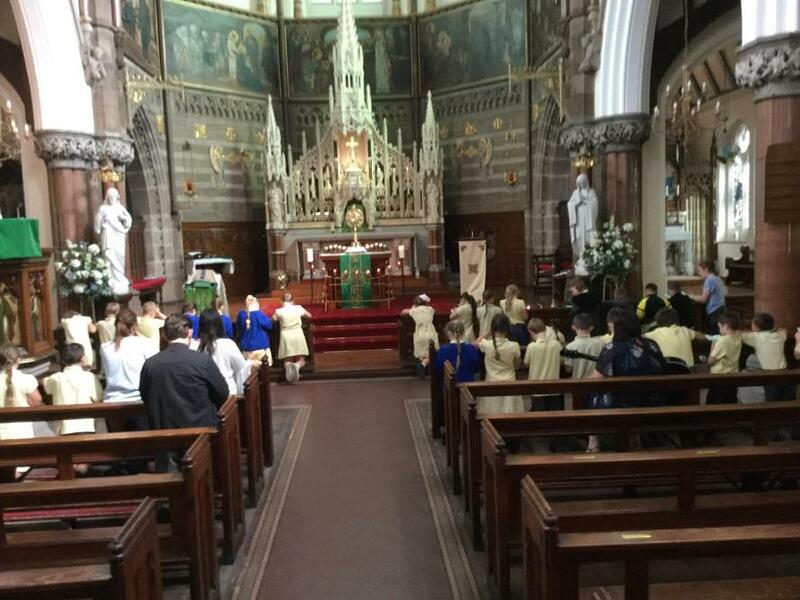 This was a time of quiet prayer and devotion before Jesus for all pupils from Reception to Year 6. 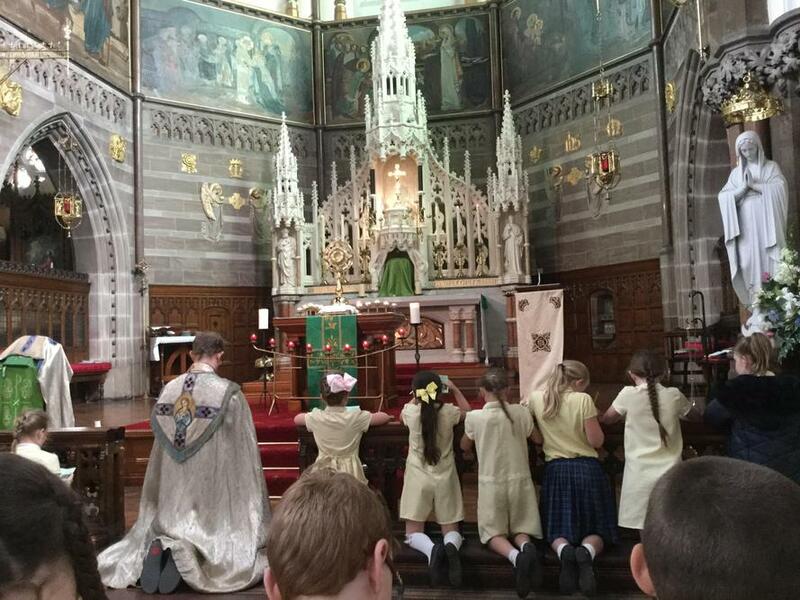 Father Dominic explained how the Blessed Sacrament was taken from the tabernacle and put in a holder called a Monstrance. 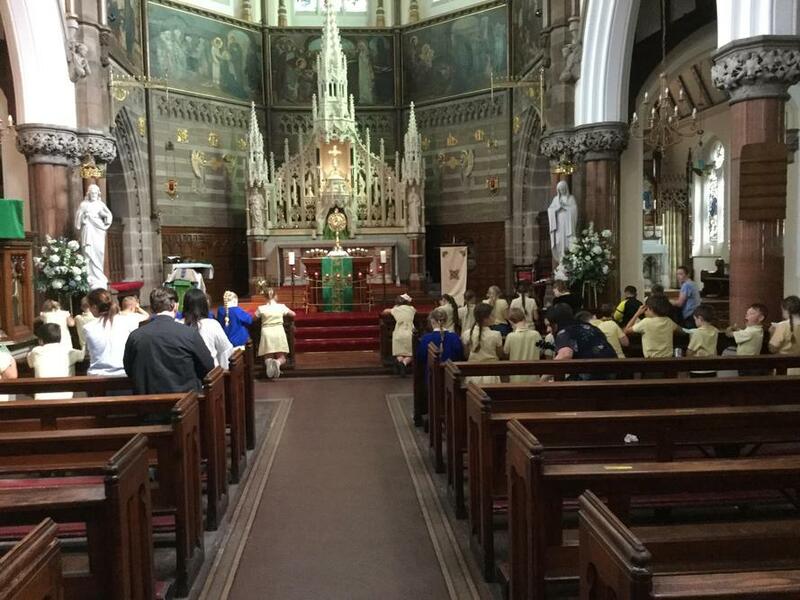 He led the children through the service, explaining and guiding them through prayer, meditation and reflection in front of the Blessed Sacrament. 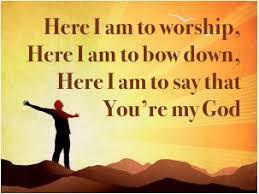 The children will received a special blessing (Benediction) with the Monstrance. 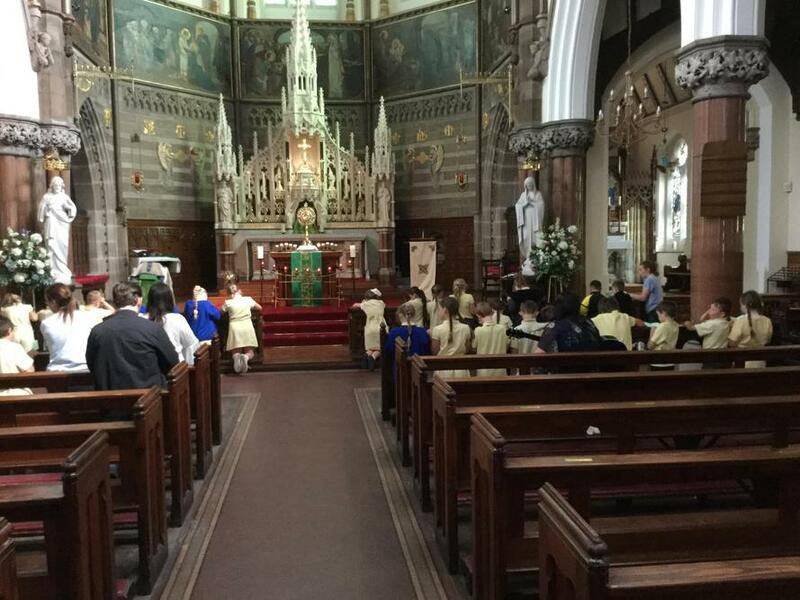 The service was enjoyed by all and the children had many questions. 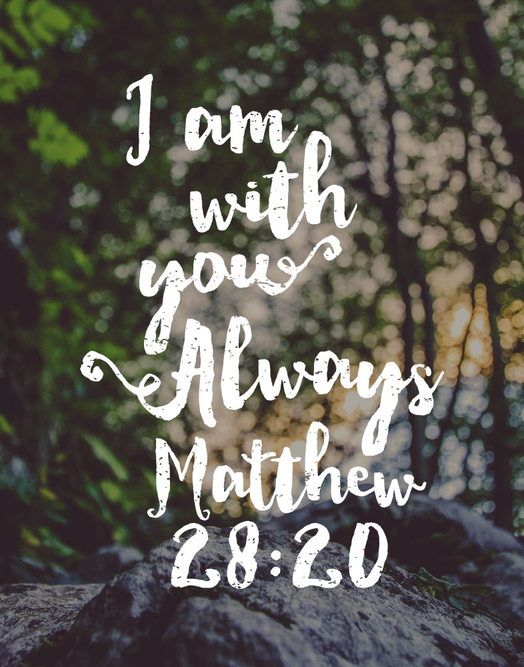 We hope to continue this experience in each half term during academic year 2018-19.